Bernard Cockburn is a beat reporter for the Omaha Weekly News-Telegraph. His boss has him chasing dead-end stories on real estate and county funding irregularities when he'd rather be working on that handful of neglected exposés in his bottom desk drawer -- or self-medicating in the apartment he shares with an on-again, off-again girlfriend. Then Cockburn finds himself at a bloody crime scene in downtown Omaha and uncovers a lead in what soon becomes the only story worth pursuing, one that just might pull him down and keep him there for good. From street level to small-town bureaucracy, and even the staff at the paper, a vigilante league is intent on cleaning up the ghetto for profit, even if it means killing a few people to get it done -- an elaborate conspiracy too unbelievable for newsprint. Like the detectives of all great noir, Cockburn's got a past that threatens to invade his present at any moment. Work has become a diversion from his personal life; but almost no one knew about his connection to the death of his best friend's little sister, and now he's begun receiving disconcerting blackmail threats. 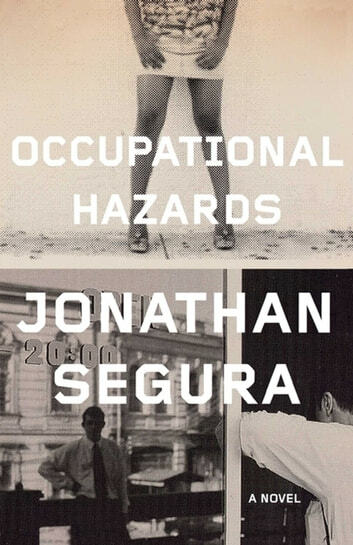 Debut novelist Jonathan Segura has all the right instincts when it comes to plotting a relentless and tightly packed story. 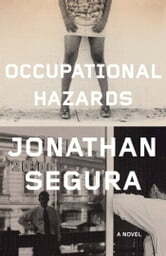 Darkly funny at times, and even wryly emotional, Occupational Hazards is a sharply observant, suspenseful read from a new and worthy writing talent.